The well-heeled in Singapore are increasingly looking at insurance not merely as a way to protect against the uncertainties of life but as a means to increase the wealth they leave behind. Policies known as universal life insurance essentially work like regular life insurance except that they offer jumbo-sized payouts upon the death of the insured. The allows them to leave behind a big pot of inheritance for their families. Bank of Singapore (BoS) head of wealth planning Lee Woon Shiu noted that about 30 per cent to 40 per cent of the private bank's client relationships now have universal life insurance policies, compared with a "significantly lower" proportion just five years ago. "People know that they can use this tool to create a large amount of wealth that can also serve as a liquidity solution. It can serve as a key- man planning solution, it can serve as a legacy planning solution, so it's very diverse in its potential uses." A simplified example may help to explain how this works. Assume that businessman Mr X - a 40-year-old non-smoker living in Singapore - has total assets of $5 million and he expects to spend about $1 million to meet his expenses for the rest of of his life. If he does nothing, and there is no change to the value of his assets, he would leave behind $4 million when he dies. If he decides to buy a universal life insurance with a premium that costs about $1 million but with a sum assured of $5 million, his total outlay would be $2 million, but he would leave behind $8 million upon his death. 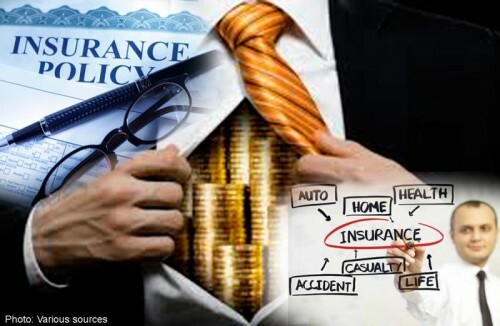 Such policies are gaining popularity among the rich because they are flexible, so the insured person can choose what the sum assured is or the payment schedule, such as whether it is a one-time premium or regular payments. Private banks may also offer to lend you money to pay the premium, with the caveat of pledging your assets, such as the policy itself or others, as collateral. Universal life insurance, however, does not come cheap. For example, the minimum premium for such policies for BoS' clients is typically about US$1 million (S$1.3 million). One potential risk is that the returns from the policy may not be sufficient to cover the insurance costs and charges over the long term. Top-ups of the premium may then be needed, failing which, the policy could lapse. There is also the currency conversion risk involved, as policies are usually structured and denominated in US dollars. Mr Lee said strong growth momentum in universal life insurance has been logged by BoS clients in Malaysia, Indonesia and particularly China. The bank has also helped to arrange a policy for a wealthy client whose sum assured was as high as US$60 million, he said. "It's a complement to what they have right now in terms of their stocks, bonds portfolio as it's a very good way to diversify the risks from the stock markets and financial markets into a very sustainable and stable option of universal life insurance," said Mr Lee.